A second big second anniversary this weekend at Philip Carter Winery on Saturday, where they're also celebrating the 248th Anniversary of American Wine. 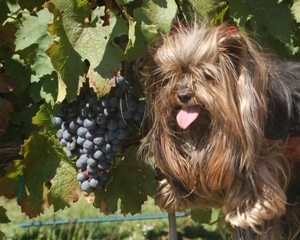 Don't miss release of Cleve, a big red Bordeaux blend, that is complex and sophisticated (just like Munchkin). Join hosts, Mr. Thomas Jefferson and Mr. Charles Carter as they speak of their personal connection to wine in young America. A Virtual Tweetup & Tasting will bring Twitter, Facebook & Foursquare fans together for the event. Activities include live music, delicious foods, hayrides, moon bounce, and much, much more. Well behaved canine friends are welcomed. 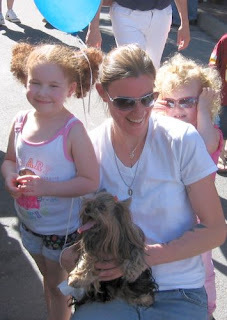 Of course, Munchkin and Pomeroy were at the original opening, where they were joined by PC Wine Dog Fairfax. BOWHaus is back and better than ever. After being sold out for months, Barrel Oak Winery releases the new versions of its popular BOWHaus wines for its anniversary over Memorial Day Weekend. This year's BOWHaus wines feature arty new labels, designed by Brian brother, Ben Roeder -- his art is showing at Barrel Oak. 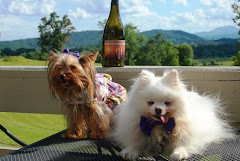 The Wine Dogs snuck a preview during the Virginia Wine Festival at The Plains and they are tail waggers. The White is a refreshing blend aptly described as "sunshine in a glass" (perfect for those hot patio afternoons). And this may be the best BOWHaus Red ever, combining Syrah, Merlot, Malbec, and Chambourcin for a wine that is rich and complex but still goes down easy. Release of the BOWHaus is just part of the big doings this weekend, which kick off on Friday night. BOW is pulling out all the stops to celebrate two successful years -- special tours; great live music Friday, Saturday and Sunday nights (and during the day on Sunday); hourly raffles; and awesome food service from Local 647 Saturday & Sunday (runners up for ABC Weekend's Best Food Cart in America Competition). Dogs and children are welcome. Munchkin can't wait! Munchkin traveled incognito on Saturday for the Virginia Wine & Craft Festival, a wonderful stre et festival centered around Front Royal's Gazebo. GRR to festival organizers for the "no pets" policy – the Wine Dogs, of course, get a pass as working press. 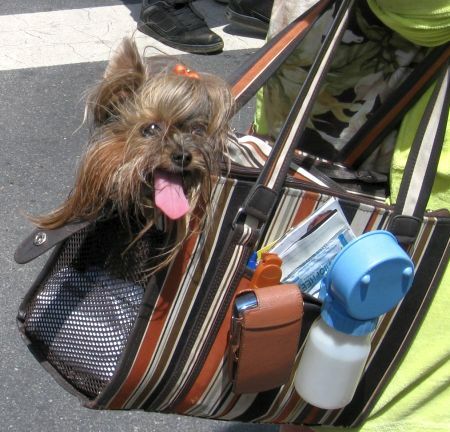 And our favorite Yorkie certainly did work. 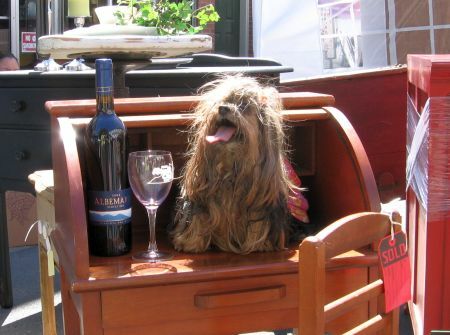 As she made her way up and down the town’s historic Main Street, Munchkin was a pup with a purpose -- her mission, to sniff out the best CabFranc of the festival, with luck a new gem to add to her cellar. An early stop at Unicorn Winery found two standouts – the '05 Merlot and Cabernet Sauvignon were the stuff of pure fantasy – but no Cab Franc. Indeed, Virginia’s signature CabFranc and Viognier grapes were in surprisingly short supply. 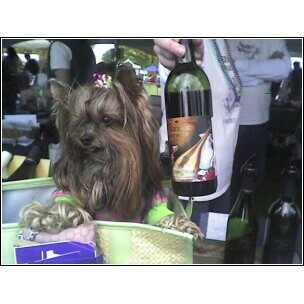 Many of the vintners brought their fruit wines, which were a tad on the sweet side for Munchkin's sophisticated palate. She did, however, find a number of pleasant surprises and made lots of new friends. 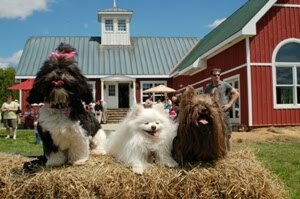 The Kluge Estate’s bubbly Blanc de Blanc tickled Munchkin’s fancy (and her nose). The winery also produced a spectacular Rose’, as did Bill Gadino with his dry Moonrise Blush, a two-Cab blend (Franc and Sauv). 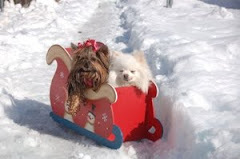 Munchkin is waiting for Pomeroy’s input to decide which to take to the beach this summer. Chateau Morrisette was tasting their impressive Liberty, also a Cab Sauv/Cab Franc blend. 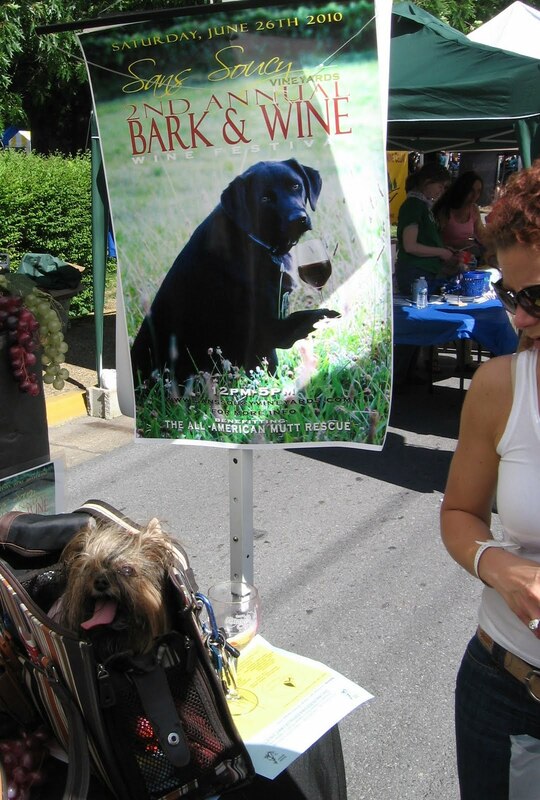 It is one of a series of dog-labeled wines unleashed by the folks whose mascot, the Black lab Zulu Petals, is the reigning Wine Dog of the Year. Cooper Vineyards had an outstanding Merlot (and a reminder that Lucy's Weekend is coming up May 29-30). Munchkin found good examples of her favorite varietal at a couple of familiar locations -- Rebec Vineyards (along with a perfect Pinot Noir) and North Mountain (who had a great Chambourcin). 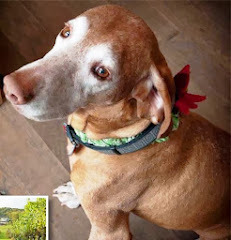 But it was trusty Wine Dog friend Rappahannock Cellars with the paws down favorite Cabernet Franc (we’ll be sipping on the deck listening to Robbie over Memorial Day weekend). No wonder owner Joh n DelMare looked so content when he was spotted taking in the festival with part of his pack! 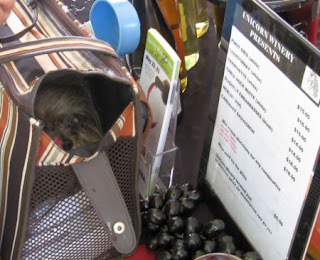 Munchkin did uncover a couple of new wineries to put on the Wine Dogs visit list. San Soucy Vineyards was tasting an excellent Viognier and Tempranillo. Wine Dog Cab (their Black Lab) will be hosting a Bark and Wine Festival on June 26. The other gem was tiny Spring Creek Wine Cellar in Pamplin City, Virginia. 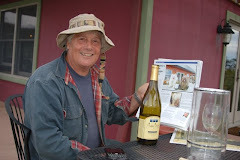 Gene and Evelyn McCluney have a true farm winery. They produce 300 cases of wine totally from grapes grown in their vineyard. All are pure varietals (no blending). Munchkin was so excited about her discoveries she stopped at a conveniently placed desk along the street (with a glass of wine, of course) to write Pomeroy about her finds. A special thanks to Uncle Jeff for filling in as guest photographer. Where better to celebrate National Travel and Tourism Week (the first full week in May) this weekend than at a great Virginia winery? Need help deciding which of Virginia's more than 140 wineries to visit? Check out the Wine Dog reviews, or try a festival. The Mount Vernon Spring Wine Festival brings together 16 wineries along with sunset tours of the mansion and jazz on the lawn on Friday, Saturday, and Sunday evenings (Munchkin's Mom will be pouring for Philip Carter on Friday). 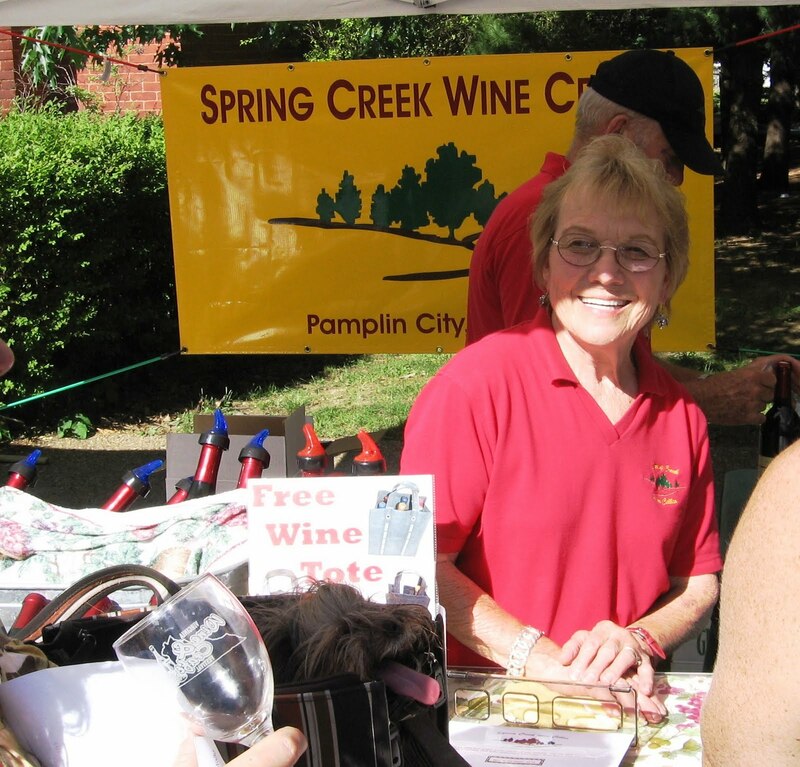 Saturday is the Wine and Craft Festival along Main Street in Front Royal, with 16 participating wineries, along with an impressive collection of local Virginia crafts. 1. 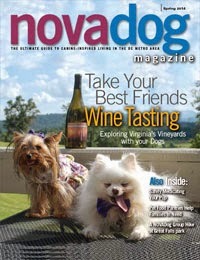 Travel and Leisure Magazine recently named Virginia one of the top five up and coming wine regions in the world. 2. More than one million visitors each year include a trip to a winery as part of their Virginia vacation. 3. In 2009, Virginia's wineries sold almost 400,000 cases of wine, totaling approximately $80 million in retail sales. 4. Virginia's wine industry contributed $347 million to the state's economy in 2005, including job creation, taxes, and tourism dollars, according to a 2007 study. 5. With more than 160 wineries, Virginia ranks fifth (behind only CA, NY, OR, and WA) based on the number of wineries in each state -- quite impressive considering Virginia had just six wineries as recently as 1979. 6. Virginia has 12 wine trails and 15 wine regions. To view them, visit www.virginiawine.org/regions. 7. Norton is Virginia's native grape and is the oldest grape in North America. Several wineries produce wine from the Norton grape (for an excellent example, check out Veramar's Norton). 8. Virginia ranks seventh nationally in grape production, harvesting 7,000 tons of wine grapes with a total crop value of $10.4 million. 9. Virginia wines are impressing critics across the country and around the world. Barboursville wines were served to the Queen of England when she visited Virginia in 2007 for the 400th Anniversary of the settling of Jamestown. 10. Virginia's first vineyard was planted in 1608 in Jamestown, where settlers were required to grow and tend to 10 grape vines to make wine. 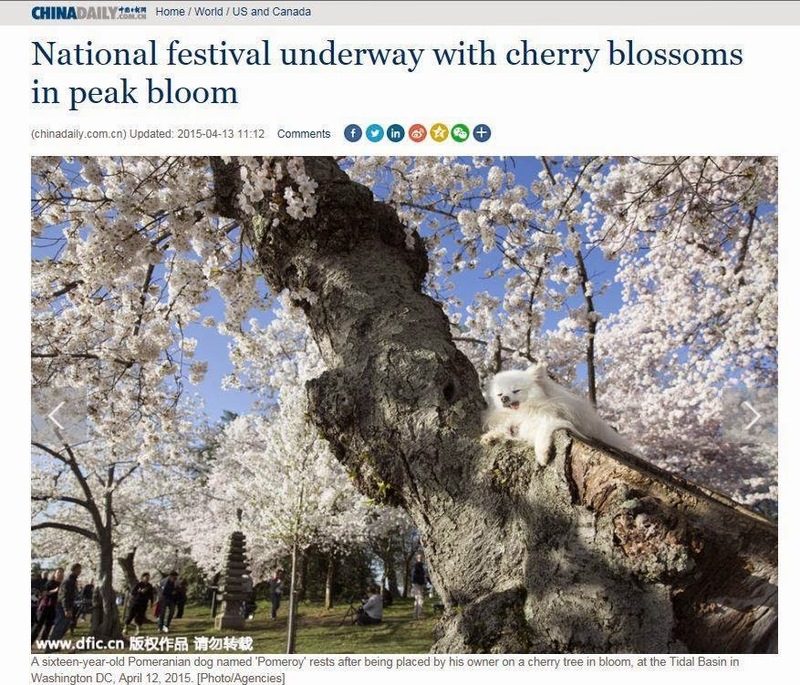 Devastating news from Loudoun County. Leesburg Today reports that Monday morning's May frost wiped out 90 percent of Doug Fabbioli's crop; other vintners also damaged. A reminder of just how fragile our industry is. Hey you pups out there. 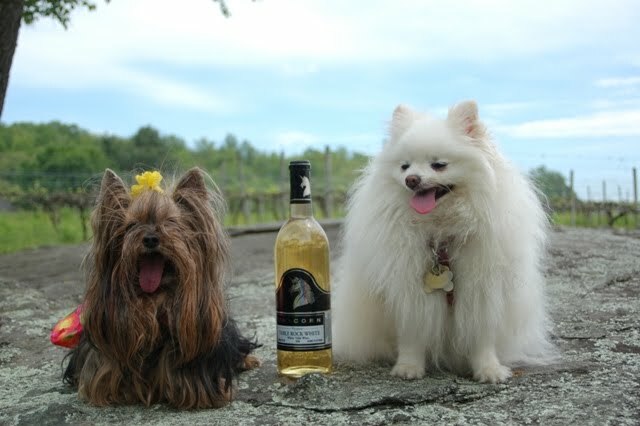 Lots of Virginia wineries are putting on the dog for Mother's Day. PEARMUND... Preview of 2009 Petit Manseng and Complimentary Classic tastings and a fresh flower for all Mothers on Sunday!! Special Winemaker's dinner on Saturday starting at 6:30. PRINCE MICHEL... Mother's Day Champagne Brunch on Sunday. 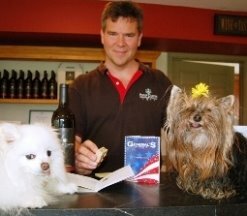 PHILIP CARTER WINERY... Mother’s Day includes a Glass of Wine of her choice and accompanying assortment of international cheeses. WINERY AT LA GRANGE... 3-course Champagne Brunch in the manor house on Sunday followed by Deborah Fabian fashion jewelry show. 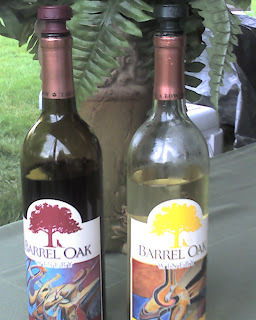 BARREL OAK WINERY... will have the chocolate fountain running and a 10% discount for all Moms. 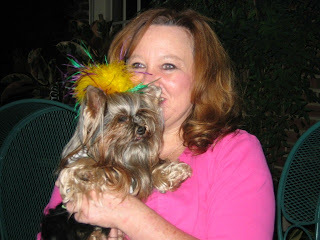 Paws for a Cause (Susan G Koman Race for the Cure) on Saturday night. Poor Ellen Smith plays Sunday. GREY GHOST... has winery tours, free wine tastings for Mom and her guests, and the delightful music of Valerie Von Fange, food baskets for picnicking in the garden as well as release of the 2009 Gewurztraminer. THREE FOX... 10% discount for Moms. Gourmet bruschetta pairings on Saturday; on Sunday, Mother's Day picknicking contest (bring your perfect picnic to spread out on the grounds; judging at 2 PM). RAPPAHANNOCK CELLARS... Mother's Day wine, music, and BBQ (Folk Harp on Sat'y; Chatham St. on Sunday) plus release of the 2009 Viognier and Solera. DELAPLANE CELLARS... Bring your Mom to Delaplane Cellars and she will enjoy a free reserve tasting and with the purchase of a bottle of wine, a souvenir Delaplane Cellars crystal wine glass. 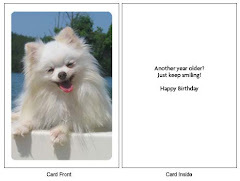 Verify it's your Mom with a Wallet photo of you -- if Mom forgets the photo, her favorite story of you will do! Blushing allowed.